Each month we focus on a different nutrition topic for our clients. In March we focused on fiber as a nutrition topic with our Early Childhood Center students. Dietary fiber, though, is always a consideration in the work we do in the Teaching Kitchen at Lenox Hill Neighborhood House. Dietary fiber is one of the nutrients most lacking in a standard American diet, and the potential consequences of the inadequacy are real: fiber supports digestive health and maintains sensations of fullness. It can be a powerful tool in weight loss as well as in preventive health care. 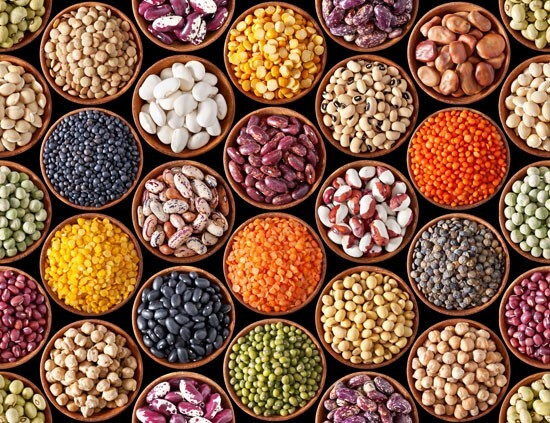 One of the best sources of dietary fiber is pulses, a group of foods that includes beans, lentils, and split peas. The health potential of these inexpensive, everyday ingredients is impressive. Studies suggest that beans are associated with lower rates of cardiovascular disease, obesity, diabetes, and certain cancers.1 Why? The resistant starch and soluble fiber in beans reduce LDL cholesterol (the “bad” cholesterol that circulates in our bloodstream) and steady blood sugar. Both processes can help to combat metabolic syndrome, weight gain, and heart disease. Beans have been enjoyed in global cuisines around the world for centuries and continue to play a prominent role in cultural foods. Many residents of institutions around the country—including those in nursing homes and shelters—are familiar with a single type of bean from childhood or country of origin. Examples include navy beans in traditional, American baked beans, black beans in Central American rice and bean dishes, or chickpeas in hummus. It’s not uncommon, though, for consumers to lack exposure to the many varieties of beans available, and therefore to the beans’ varied health benefits. Broadly speaking, beans provide fiber, folate, magnesium, potassium, protein, and iron , but the nutritional offerings of each type of bean are unique, as are the phytonutrients that give beans their distinctive colors. Our group workshops at The Center and Casa Mutua focused on easy ways to prepare and enjoy beans. We discussed five-ingredient bean recipes, sampled a mashed bean dip, and talked about the advantages of using canned beans versus dry. We also covered the many health benefits of beans, from protein and fiber to micronutrients like iron. Participants seemed curious and pleased to learn about an inexpensive, yet efficient protein source. Cooking more with legumes is a goal that aligns nicely with the values of our Teaching Kitchen. We encourage institutional kitchens to experiment with meatless cooking for both environmental and health reasons, and beans make easy work of replacing animal proteins with plant-based sources. Beans are also incredibly cost effective—a one-pound bag of dry pinto beans costs about $1.79 and makes about twelve ½ cup servings of cooked beans—which can help to create space in institutional budgets for seasonal produce and local meat or dairy. The bean recipes we share with our clients in the teaching kitchen incorporate legumes into appealing, everyday recipes. 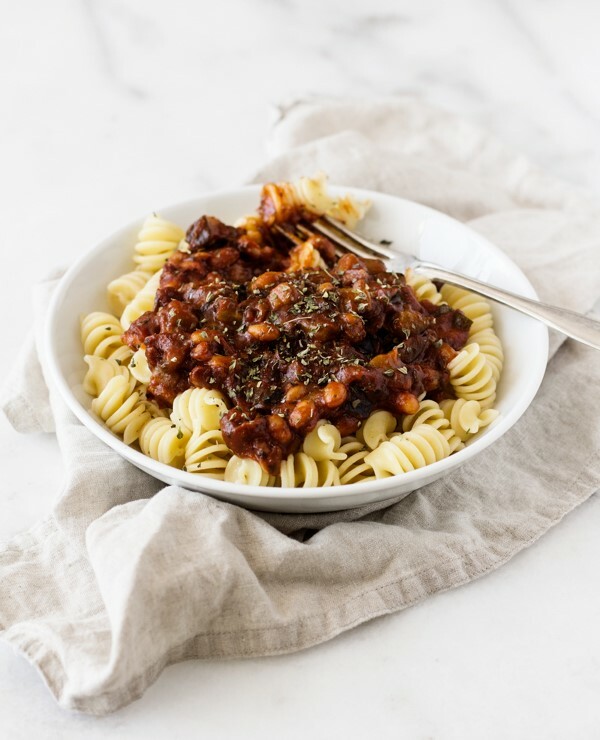 These include a black bean and sweet potato chili, a pasta with white beans, eggplant, and tomatoes, and a cauliflower chickpea bulgur bake. Our nutrition chats at Casa Mutua and the Center homed in on similar types of recipes, with a strong emphasis on meals that are inexpensive and easy to prepare. These included an easy microwave breakfast burrito and a pasta with broccoli and white beans. Beans are one of nature’s true superfoods: nutrient-dense, naturally free of fat and sodium, inexpensive, and ecologically friendly. We’re proud to feature them in our meals and to educate our residents and participants at Lenox Hill Neighborhood House about their very delicious benefits.